COME SEE US at SXSW! New Deal is on a panel on Cinematic Virtual Reality. Always wanted to be in the movies? 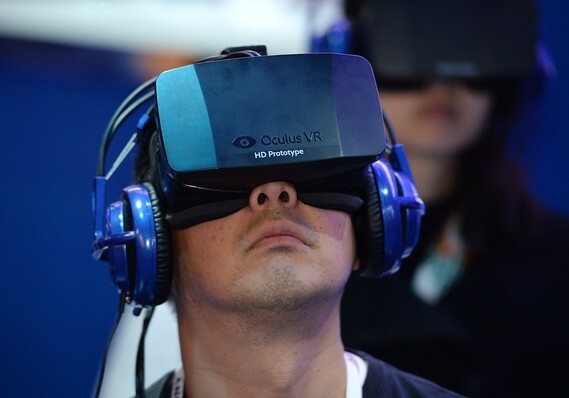 You may get a chance soon, thanks to the burgeoning world of virtual reality and a film industry keen on exploring it. 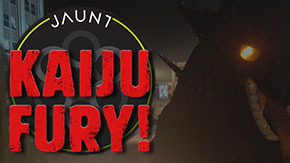 Download and watch The Mission, Kaiju Fury! and Black Mass! DOWNLOAD NOW: The Mission Trailer on Google Play! TechCrunch: The Mobile Jaunt VR player is LIVE - Watch Paul McCartney On Stage, and Previews for The Mission and Kaiju Fury! Jaunt wants to give you something to watch on makeshift virtual reality headsets like Google Cardboard, Dodocase, and Mirage. Motherboard: Jaunt Offers An Immersive Enough VR Experience, But Can It Change Filmmaking? If any industry is equipped to bring the virtual reality experiences offered by Oculus Rift and other VR headsets to the masses it has to be gaming. Designed with omnidirectional player navigation in mind, video games are practically tailor-made for immersive virtual reality. 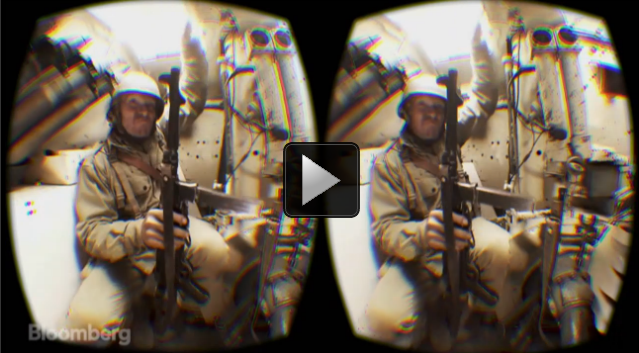 Introducing VR to the film industry won't be so easy. The Jaunt team has landed in New York and we'll be at ComicCon in booth #1568 with our good friends from DODO Case. Using their new VR viewers, we'll be showing a very special exclusive sneak preview to NYCC attendees - a trailer for our cinematic VR short film directed by Matthew Gratzner and produced with New Deal Studios, "The Mission." Be sure to stop by and be one of the first to experience cinematic Virtual Reality history. Immersive. The word pops up in conversations about entertainment with as much frequency as “engagement.” While the definition is tied to its roots as techno-jargon in the cyberdelic 90s, its popularity comes from the fact that the meaning has grown beyond those roots. A couple of weeks back I watched the vice president of content for Jaunt VR—makers of a revolutionary live action video camera for virtual reality—hint at the imminent arrival of a consumer VR device. 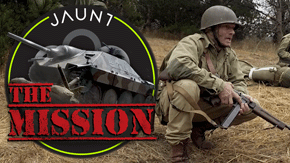 Jaunt and New Deal Studios would be releasing a short WWII themed film made with the camera this fall, and that meant people would need to able to watch it on something, after all. Virtual Reality Film Production In "The Mission"
In addition to adapting the name of FDR’s social program of the Depression era 30’s, Matthew Gratzner’s New Deal Studios is as progressive in its look to the future of cinema and VFX as anyone today. That’s mostly because the co-founder is taking on the challenge of adapting cinema to virtual reality devices like the Oculus Rift. Last week saw the third VR-user gathering in Los Angeles to discuss the latest advances in the realm of VR. The meeting was held at New Deal Studio’s facilities, and Gratnzer lead the discussion with a description of his experiences filming The Mission, a WWII short made completely for a virtual experience. The VFX supervisor has a pretty impressive list of work in feature films that includes Hugo and Shutter Island. Nearly all the hype around virtual reality — much of it fanned by Facebook’s $2 billion acquisition of Oculus VR, the headset maker — is about how the technology can be used for games. Another intriguing use for virtual reality, one that has received scant attention until recently, is video. Imagine the possibilities of being able to swivel your head around within a movie, a news broadcast or a football game to see everything around a camera, not just what is in front. Jaunt — a Palo Alto-based startup that is developing hardware and software to enable the production and display of virtual reality experiences — has raised $27.8 million in a new round of funding, bringing the total investment in the company to $34 million. With the new funding, the company aims to continue to develop relationships in Hollywood in order to kick-start VR content creation.